Most readers have probably used Yelp to find or pick out a restaurant. Why? The company has more than 90 million customer reviews to help you decide on which places you might like. Reviews are not just for restaurants. Retail shops and home improvement businesses now are significant categories which receive millions of reviews. Getting your business listed on Yelp is easy and free. Just go to https://biz.yelp.com/ . However, many businesses will want to get an enhanced profile which costs $75 per month. An enhanced profile means your competitor’s ads will not be shown on your page and gives the business more control over the page as a whole, such as the order of photos featured on the page. Small Businesses can also advertise on Yelp to generate more business. Much of what you have read about small business advertising on Yelp is outdated or wrong. In preparing for my interview with Darnell Holloway, I read a number of articles about small businesses advertising on Yelp. There was negative feedback around how Yelp charged for advertising and the process of purchasing advertising. These issues have been addressed and fixed by Yelp over the last couple years. Before the change, small business owners paid based on the number of times consumers saw their ad. Now, small business owners pay based on the number of times potential customers click on their ads. Before the change, small business owners had to go through an account executive to buy advertising. 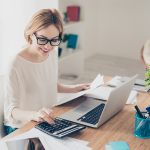 Now, small business owners have the choice of self-service as well (although they can still use an account executive). The price for buying advertising is the same regardless of how a small business owner buys it. 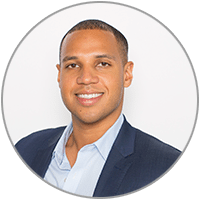 I had a chance to speak with Darnell Holloway, Director of Local Business Outreach at Yelp. We covered a wide range of topics, from why certain reviews get shown and others do not to the latest advertising products.The following Q & A is reconstructed based on my notes and are not a verbatim transcript. How important are photos for a Yelp profile? Providing a large number of high quality photos is extremely important, particularly for businesses which haven’t yet received a large number of reviews. We found that business profiles with a small number of reviews (1 – 5) that had ten or more photos outperformed those that had less than 10 photos by 200%. There are a few types of photos that businesses should include in their gallery. Regardless of business type, showing photos of your staff is extremely important. Consumers like to see who will be serving them. If you have a restaurant, you should definitely have photos of your food and location as well. Retail stores should have updated photos of their location and most popular products (keeping them seasonally updated). If the product or service that a company provides changes frequently, they may look at using the photo slideshare feature available with enhanced profiles. This allows businesses to determine the order in which photos are displayed to users visiting their page. The default setting is to show the photos first uploaded when the Yelp page is created, meaning your older photos will show first unless you change the order. How should businesses collect reviews from customers? Yelp encourages businesses to collect reviews organically and we provide a number of tools to help in this process. Before I discuss the tools we provide that makes it easy for customers to leave reviews, I want to address a misconception. Many business owners think that most reviews are left by upset clients. In fact, most reviews are positive; 80% or more of reviews are 3 stars or higher. When given an opportunity, customers generally have something nice to write. The key is making them aware that the business would like them to leave a review. This can be done a number of ways. We provide free decals that can be placed on store doors and windows. “Find Us Yelp” badges can placed on a company’s website. Additionally, when a customer takes advantage of a Yelp Deal or Check-In offer, they are prompted to leave reviews for the business the next time they sign in. These tools enable companies to build high quality reviews from customers. Why don’t certain reviews show up on Yelp? Only 7% of the reviews provided to Yelp are not displayed on the site. These reviews are not shown because they violate a policy. For example, they may contain offensive language or be left by a reviewer affiliated with a company, such as a former or current employee, which is not allowed. Typically, these types of reviews are flagged as inappropriate by visitors to Yelp and manually reviewed by Yelp staff. The large majority of reviews, the remaining 93%, fall into one of two categories, recommended and non-recommended. We use an algorithm to determine which reviews are recommended and which are non-recommended. There is no human intervention involved. Among the factors which are considered, is the reviewers’ past history of activity on Yelp. 71% of reviews fall into the recommended category. These reviews factor in a business’ overall star rating and are the most visible. Reviews that are not-recommended (around 22%), do not factor into a firm’s overall rating. However, they are accessible from a company’s profile page. Is it against Yelp rules to offer an incentive or reward, such as a free dessert, for leaving a review? It is against Yelp rules to provide financial incentives, ie. giving anything that has a monetary value for leaving a review. If Yelp discovers that a company is engaging in such activity, that company will receive a consumer alert warning all consumers that visit the listing of the company’s shady business tactics. . This way readers can determine for themselves if the review has been compromised by the incentive. However, there is a bigger issue here. Paying an incentive for reviews without disclosing that the review is a paid endorsement, may be a violation of FTC rules. The attorney general of New York State brought several high profile lawsuits against businesses for such activity. So, giving an incentive for reviews may get a business into serious legal trouble. Can you discuss Yelp’s paid advertising program for businesses? Yelp ads are performance based and get displayed above relevant search results and on competitors’ pages on both web and mobile platforms. 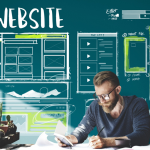 The cost per click is determined by a number of factors, including competition from other advertisers in a business’ area and the expected relevance of a business’ ad to the user. Businesses will always pay the least amount necessary to win the click. Our objective is to maximize the number of clicks a business receives for their desired budget over the course of the month. According to Nielsen, Yelp advertisers (on average) reported $3 in revenue for every $1 invested in Yelp Ads. Darnell Holloway is Yelp’s Director of Business Outreach. 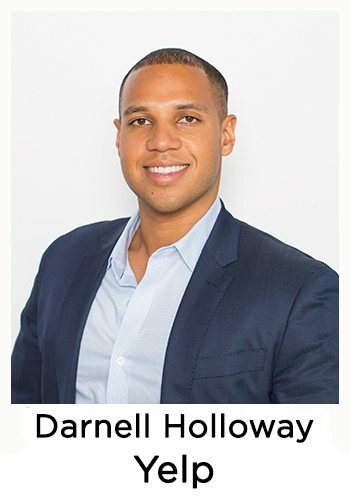 Darnell joined Yelp in 2009 as one of 12 Account Managers at Yelp HQ in San Francisco. After relocating to Scottsdale in 2010 as part of the team that founded Yelp’s Arizona operation, he was was promoted to begin working more closely on building up Yelp’s Business Outreach efforts. As the Director of Business Outreach, he oversees an international team dedicated to educating small business owners about best practices for using Yelp. He comes from a family of small business owners and is passionate about working with the local business community. He is a California native, and UC Davis alumnus.